Open Door is a food pantry in Walnut Hills. When we go, we need help handing out food, organizing the give-away, and greeting our brothers and sisters in Walnut Hills. Monthly, 3rd Saturdays @ 8:30-10:30a.m. All ages welcome! CLASP is short for the “Children of Ludlow After School Program.” At CLASP we sing and play and need help with food, tutoring, and making friends in Ludlow. Weekly, Thursdays @ 3-5:30p.m. Teens and adults. 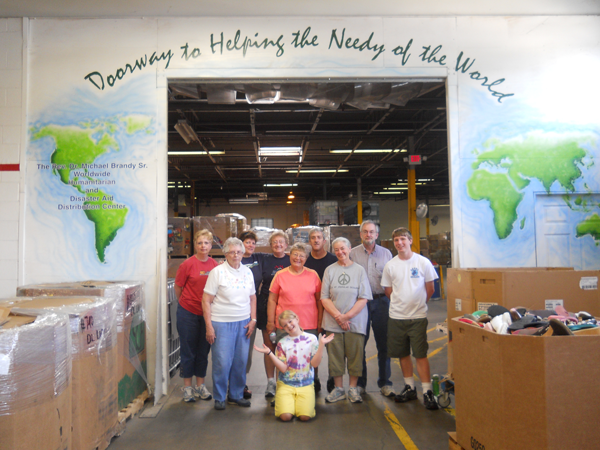 Matthew 25 Ministries is a global outreach in Blue Ash that shares resources. We help with sorting and organizing. Quarterly, 2nd Saturdays @ 9-11a.m. All ages welcome! Christmas Joy Offering – Supporting older church workers and institutions of learning begun by the Presbyterian Church for particular ethnic and racial populations. To create a culture of service encouraging the church membership to participate in service projects and activities in both the church’s local and extended presence in the community at large. To utilize the physical facilities of Lakeside Presbyterian Church to support activities beneficial to the local community. To participate and support activities of the connectional church and the ecumenical church. To work with the educational leadership of the church to advocate for social righteousness. We proclaim the Gospel Good News of Jesus Christ, our Lord and Savior. We help those in need, as the Bible admonishes us to do. We are changed in the mission work we do: the giver is transformed sometimes more than those who receive! For more information contact our church office!